"We celebrated Eid with high spirits this time around. Lots of people came. There is no conflict that divides us anymore. This was a quarrel between two siblings. We sorted our issues among us with the help of our leader. The win in the bypoll is result of this bonhomie. And let me tell you that the coalition will win with a bigger margin in 2019," said a former headman of Bantikhera, a village in Shamli Tehsil, Muzaffarnagar in Uttar Pradesh. He further added that the impact of bypoll results, which were held not too long ago and one where the BJP lost against Rashtriya Lok Dal's (RLD) candidate Tabassum Hasan — the united opposition candidate who was supported by the Congress, Samajwadi Party and the Bahujan Samaj Party. After carefully examining the bypoll results through multiple prisms of political dimensions, Firstpost reached ground zero to gauge the mood with which a social constituency is moving towards the 2019 general elections, and whether it would favour an opposition coalition. Is it right to construe it as a win of ganna (in the sugarcane belt) over Jinnah? Can we see the bypoll results as a full stop to the communal politics that pits Hindus against Muslims? Have the Jats and Muslims of western Uttar Pradesh become one force? Is the broader opposition coalition of BSP-SP along with Congress capable of becoming a big roadblock of the BJP's juggernaut? The dust of the political storm raised by the bypoll has settled, the taste and fervour of Eid celebration is still reverberating. Muslims of Kairana see much hope in the victory of the RLD candidate Tabassum in the bypoll. Pointing at the divisive politics of the BJP, Mehboob Khan of Bantikhera says, "We have understood their mentality quite well. We now know that they will rob us. They (the BJP) promise to get us the pending payment for our sugarcane crop, but they don't honour their promise. When we protested against sugar mills, shots were fired. Cases have been registered, but they didn't do anything. They have nothing to claim. They make tall promises, lead us to believe that they will bring stars on earth, but nothing changes on ground. All of their promises, talks of development are hollow." Rest of the Muslim populace, much like Mehboob Khan, accuse the BJP of doing divisive communal politics between Hindus and Muslims. They say that now even Hindus have understood the politics of the BJP. Now, they know that the party resurrects the fear of Muslims in every election, only to secure votes. That's why, along with Muslims, people from other communities have voted against the BJP. 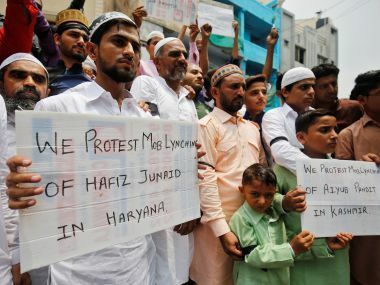 So, after the Kairana bypoll results, the bigger questions is if it is safe to say that Jats and Muslims have re-united again, like they were before Muzaffarnagar riots of 2013? Muslims of the area nod in agreement. They attest the claim that both the communities have left the bitterness behind and have joined hands. Mehboob Khan says, "We celebrated Eid together this time. Our brotherhood was poisoned by hate politics. Our village is an example of bonhomie between two communities." In Bantikhera, Muslims comprise 66 percent of population, while Hindus are 34 percent. Still, the village has been choosing Muslims as village pradhan since 1955. Hindus vote for us. "Our solidarity has a history to it," he adds. Mange Ram, in his sixties, smokes the hukkah outside his home and says that he has a long list of complaints about the BJP. "Delay in sugarcane payment, inflated power bills are issues we still face. 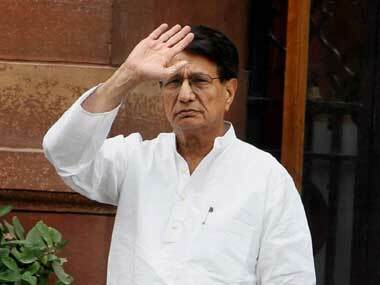 But if our issues are addressed, then we can vote for Modi ji again," he says. Another farmer Naresh Pal feels that when Jat leaders like RLD president Ajit Singh and his son Chowdhary Jayant Singh reached out to locals, it made a huge impact. But Naresh, who also is an old farmer, is sceptical whether this impact will sustain till 2019. He says that it will be wrong to assume that whole Jat community voted for coalition candidate at the call of Ajit Singh. Naresh explains that a good amount of Jats voted for the BJP as well. Kairana Lok Sabha area constitutes of five Assembly seats, Kairana, Thana Bhawan, Shamli, Gangoh and Nakud. 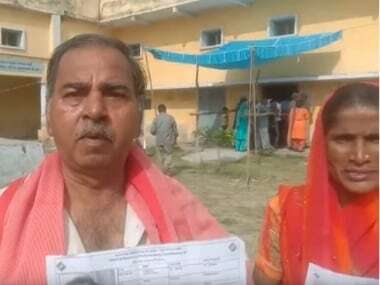 In the Kairana Lok Sabha seat, total voters are 17 lakh, and these are divided into 5 lakh Muslims, 4 lakh OBCs (Jats, Gurjars, Sainis, Kashyaps, Prajapatis and others). Out of the total number of Dalits in the area, at least 2.5 lakh vote — 1.5 lakh are Jatavs and around one lakh are non-Jatavs. There are around 3 lakh Gurjars in the area, who belong to both Hindu and Muslim communities. A wide array of caste equation worked in favour of Tabassum as the RLD seems to have succeeded uniting the Jats in its favour. Muslims came together for the SP. The alliance claimed that Muslim Gurjars voted in favour of Tabassum as she herself is a Muslim Gurjar candidate. It is also being claimed that the Dalits voted for Tabassum at the behest of BSP. But, if there was so much consolidation in the favour of a coalition candidate, in the name of caste, what one should make of the margin, which was meagre 44,000? Krishnpal is a farmer. Now in his sixties, he has a knack for political dynamics in the region. "If we see through the caste prism, there was strong consolidation in favour of coalition candidate Tabassum. 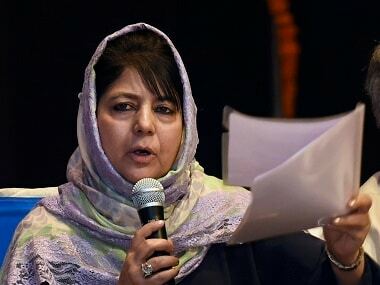 Around 70 percent of the voter should have gone in favour of Tabassum, while the BJP would have got only 30 percent of vote. 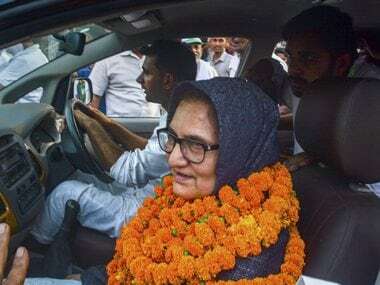 If the voters voted along the caste consideration, then the victory margins should have been 1.5 lakh, but Tabassum won by the margin of only 44,000 votes. This means Jats voted for the BJP as well. The BJP was leading in Kairana and Shamli by the margin of more than 12,000 votes and 60 percent of Jats voted for BJP, in both of these constituencies," Krishnpal says, and adds that despite the sustained attempts by a united opposition to wean them (the BJP) away, a large number of Jats are still supporting the BJP. This isn't the only reason for a meagre victory margin. The people here feel that many Muslim voters didn't come out to vote due to Ramzan fasting. Earlier, around 80-90 percent of the total Muslim voters would vote. Dalits also didn't vote wholeheartedly, while the Jat overwhelmingly voted for BJP. Krishnpal explains that many youth of this area are still facing Muzaffarnagar riots cases. Jats believe that Chief Minister Yogi Adityanath will withdraw these cases. That's why they are still voting for the BJP. Even if the cases aren't withdrawn till 2019, Jats will go along BJP, he adds. Krishnpal explains that there are two reasons for Jats' inclination towards the BJP. First, the BJP has been successful in improving law and order. And second, with the ascendance of BJP in power, dominance of Muslims in the area has faded, which was not in the case when Mulayam or Akhilesh were in power. Hindus see this change positively. As for the coming together of Jats and Muslims, it is just an opportunist move, which has no big impact on ground, in his opinion. According to some veterans of the village, the RLD, which has never been a strong political force earlier, is still weak. One significant point which people of the area make is that Ajit Singh's son Jayant made a big positive impact among voters in this election. Jayant held more than 100 election rallies during campaign. Along with the youth, elders are also all praise for him. They believe the coalition put up a strong fight just because of Akhilesh and Jayant. People see huge potential in him. Amarpal is a farmer. When Firstpost met him outside Shamli, he was irrigating his fields. Amarpal says that his father is an RLD supporter, but identifies himself as a supporter of the BJP. While talking about party that's in power in the centre, Amarpal talks more about national-international issues, rather than local factors. He cites that the BJP has strongly dealt with Pakistan, and has made India proud on world stage and improved the credentials. But, as we ask him about sugarcane payment, he rues that the payment is still due. Many farmers of the area, like Amarpal, hold Uttar Pradesh cabinet minister Suresh Rana responsible for non-payment of sugarcane dues. He defends the party, while holding local leaders responsible for the defeat. Kairana has gone through several bouts and phases of hate and politics. Muzaffarnagar riots of 2013 had also engulfed the area. Riots tore down the bond between the communities. Kairana was made a Hindutva Laboratory in 2016. Desertion of people from the area was made a huge political issue. Kairana was dubbed as Kashmir of Uttar Pradesh. Lok Sabha polls of 2014 and 2017 saw communal polarisation in favour of the BJP. Issues of Hindu desertion and the controversy around the Jinnah's portrait in Aligarh Muslim University, were brought up in the bypoll as well. But, BJP was defeated this time due to a united fight by the opposition. As we surveyed the ground realities, one thing is clear — though the opposition is united against BJP, the electorate seems divided. Just because it was defeated in Kairana bypolls, there is no reason for BJP to feel downcast.